Videos : James Neal forced to scrape his teeth off the ice. James Neal forced to scrape his teeth off the ice. It was a rough night for one member of the Calgary Flames. 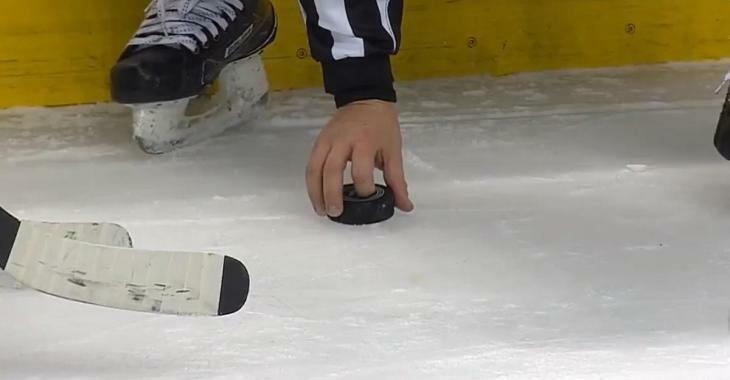 Fans who tuned in for the late game between the Calgary Flames and the Vancouver Canucks on Saturday night got quite the treat as the two squads put on what was a very exciting match up for their respective fan bases. No doubt the Flames and their fans would have preferred to walk away victorious from this one but it was a hell of a game nonetheless and the fans at Rogers Place in Vancouver got to leave happy after seeing their boys pick up an all important win. That being said though there was one member of the Calgary Flames who had himself a particularly rough night on Saturday, Calgary Flames veteran forward James Neal. Not only did Neal suffer defeat at the hands of the Canucks, along with the rest of his teammates, but he also left Vancouver with a few less teeth in his mouth than he had when he first arrived. That was no fault of Neal's however but rather the result of a rather careless play for Vancouver Canucks veteran defenseman Alex Biega. The 30 year old Canucks blue liner caught Neal right in the mouth with a high stick during the game's third period, and that was enough to result in Neal's teeth needing to be scrapped off the playing surface.